Anthony Knockaert's stunning strike proves decisive as Brighton move eight points clear of the Premier League relegation zone with victory at Crystal Palace. Parish councils in Kent are offering to pay to stop library hours being cut. Borough Green, Platt, Wrotham, Plaxtol and Ightham parish councils are offering to replace funds lost through central government to keep Borough Green library open for longer. It comes as Kent County Council looks to cut opening hours to save money. Borough Green's facilities would have its hours cut by a third if plans go ahead, the economic development and communities cabinet committee heard. A decision on whether to allow a new conference centre and replacement clubhouse to be built on a golf course in an Area of Outstanding Beauty in East Sussex has been deferred. Wealdon District Council planners were concerned about the impact of a new access road to the site at the Boars Head Golf Centre in Eridge Road, near Crowborough. Rather than refuse the application outright, planners have opted give developers time to submit alternative proposals for site access. The access road as proposed – to connect the site to the A26 – would have run alongside a house and behind a number of others, including a listed property. Conservative Councillor Peter Roundell said: “The fact of the matter is, 500m of tarmacked road is going to go in and across the front of a listed building." M20 Kent westbound severe disruption, between J9 for A20 Fougeres Way and J7 for A249 Maidstone. M20 Kent - One lane closed and heavy traffic on M20 westbound between J9, A20 (Ashford) and J7, A249 (Maidstone), because of a broken down vehicle. A21 East Sussex southbound severe accident, between Johns Cross Road and A2100 London Road. A21 East Sussex - A21 Vinehall Road in Robertsbridge closed and queuing traffic southbound between the Johns Cross Road junction and the A2100 London Road junction, because of an accident involving two cars. 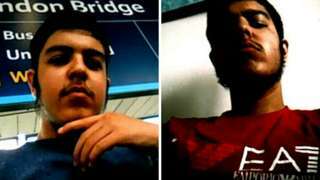 Islamic State supporter Haider Ahmed's mum confiscated the knife when she found it in his bag. A health boss has apologised to patients forced to wait for treatment during the height of winter. 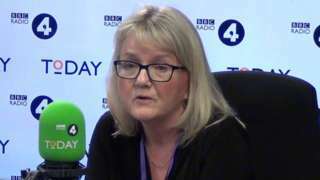 Stephen Clark, chairman of Medway NHS Foundation Trust, said staff at Medway Maritime Hospital in Gillingham "delivered the best of care to the majority of patients", but accepted not everyone had the same experience due to the "relentless pressure". Figures published by the trust shows six people waited more than 12 hours at A&E in December and January, while four-hour performance also fell during those months. Chief executive James Devine admitted the delays were "frustrating", adding health officials are working on plans to tailor the hospital for winter pressures. M25 Surrey clockwise severe accident, at J13 for A30. M25 Surrey - M25 entry slip road partially blocked, one lane closed and queuing traffic clockwise at J13, A30 (Staines), because of an accident involving lorry and a car. 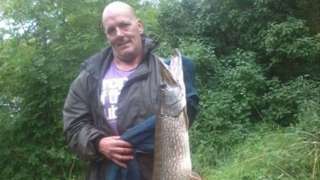 Scott Wilkinson was attacked while "enjoying peace and quiet" on a island in the River Thames. 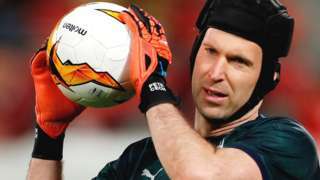 Petr Cech hopes to follow Guildford Flames' Challenge Cup final progress from afar while Arsenal play Manchester United on Sunday. Police have said the death of a student at the University of Kent is "not being treated as suspicious". Emergency services were called to the reports that a man had been found dead at the university's Canterbury campus at around 18:30 GMT on Thursday. The university said: "We are offering support to the student's housemates, fellow students and staff. Our thoughts and deepest sympathy are with the student's family at this difficult time." M3 Surrey northbound severe disruption, at J2 for M25 J12. M3 Surrey - M3 lane blocked on exit slip road northbound at J2 M25 J12, because of a broken down car. Traffic is coping well. 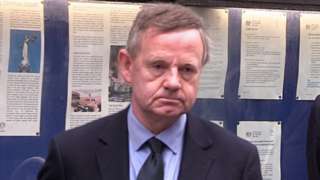 Andrew Hill is found not guilty of the manslaughter of 11 men in the Shoreham Airshow crash. M25 Surrey anti-clockwise severe disruption, at J11 for A320 St Peters Way. M25 Surrey - Queuing traffic on M25 anticlockwise at J11, A320 (Chertsey), because of an earlier broken down vehicle. Congestion to J13 (Staines). All lanes have been re-opened. Pilot Andy Hill has been cleared of the manslaughter of 11 men, who died when his jet crashed at the Shoreham Airshow. A273 West Sussex both ways severe accident, from B2112 New Road to School Lane. A273 West Sussex - A273 in Clayton blocked and very slow traffic in both directions from the B2112 New Road junction to the School Lane junction, because of an accident. M25 Surrey anti-clockwise severe disruption, at J13 for A30. M25 Surrey - M25 lane closed on entry slip road anticlockwise at J13, A30 (Staines), because of a broken down motorhome. Traffic is coping well. M20 Kent eastbound severe disruption, from J9 for A20 Fougeres Way to J10 for A292 Hythe Road. M20 Kent - One lane blocked on M20 eastbound from J9, A20 (Ashford) to J10, A292 (Ashford South), because of plastic on the road. Traffic is coping well. Head teachers accuse the education secretary of refusing to meet them to talk about their worries about funding.